Rep. Pramila Jayapal is readying a new version of the Medicare for All bill, sans its perennial number, 676. For the first time in more than 15 years, the Medicare for All legislation for the U.S. House of Representatives has a new number. Then-Rep. John Conyers (D-Mich.) started introducing H.R. 676, The Expanded and Improved Medicare For All Act, in 2003. And he introduced it in every Congress until he resigned in late 2017 in the wake of sexual harassment allegations—always as H.R. 676. That was the plan for this Congress, too, the bill's current champions told Modern Healthcare late last year. But the plan hit a bump. 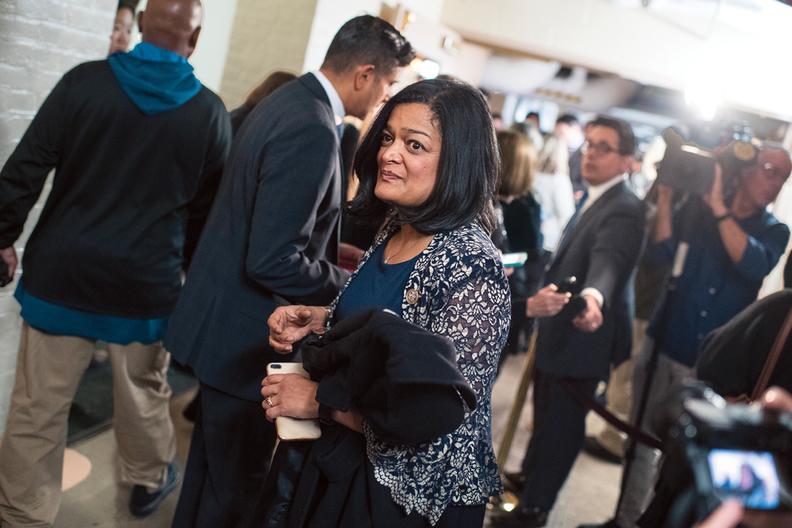 Progressive Democratic Rep. Pramila Jayapal of Washington state, the bill's new lead co-sponsor, is revamping the legislation and it wasn't ready in time to snag 676. Bills are introduced in numerical order and another lawmaker snapped up the iconic number. She was quick to point out that her version goes beyond the original 676. “676 was amazing—I think it was the first bill I signed onto when I came to Congress—but it was an eight-page outline, and this is very different from that,” she said. Jayapal hopes to introduce the new version the second week of February and is pushing for committee hearings. The bill is currently circulating among lawmakers to pick up co-sponsors. And as for the new H.R. 676? According to its summary, the measure would block any funds for the U.S. to withdraw from the North Atlantic Treaty Organization.